Products, services, providers, special offerings & great discounts! Provider Services Directory Coming Soon! Below is an example of what the Provider Services Directory will look like. Please click on View Members for the AAAOM to see a member listing example. 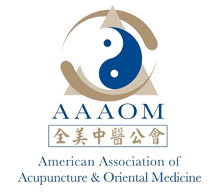 The AAAOM is a national membership organization of acupuncture and Oriental medicine (AOM) practitioners and supporters that serves to advance the profession and practice of AOM. The mission of the AAAOM is to support our members and the AOM community through education, occupational resources, media support, and legislative advocacy in our commitment to facilitate access to the highest quality of healthcare in the United States. The American Academy of Medical Acupuncture (AAMA) is the professional society of physicians (MDs and DOs) in North America who have incorporated acupuncture into their traditional medical practice. The AAMA was founded in 1987 by a group of physicians who were graduates of the “Medical Acupuncture for Physicians” training programs sponsored by University Extension, UCLA School of Medicine.